In a radical move to lure its customers with maximum benefits on talktime recharges, Bharti Airtel, the largest GSM mobile service operator has come up with first-of-its-kind innovative offers dubbed as Mobile Internet & Voice Combo and VAS & Voice Combo packs in Karnataka telecom circle. 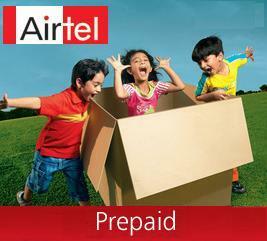 Airtel’s 3 combo offers are priced at Rs.45, Rs.109 and Rs.50. The combo pack of Rs.45 that comes with a talk time worth Rs.30 as main balance and 100 MB free GPRS Data usage is valid for 30 Days from the date of recharge. For a combo recharge of Rs.109, Airtel customer gets talk time worth Rs.90 and 100 MB free GPRS Data usage valid for 30 days. Apart from the Mobile Internet Voice combo packs, Airtel has also come up with VAS combo pack of Rs 50, that gives talk time of Rs 41, 10 free SMSes for seven days and free Radio Mirchi live service on mobile for 7 days.